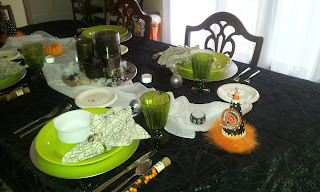 Our friend J stopped over and joined us for dinner last night. 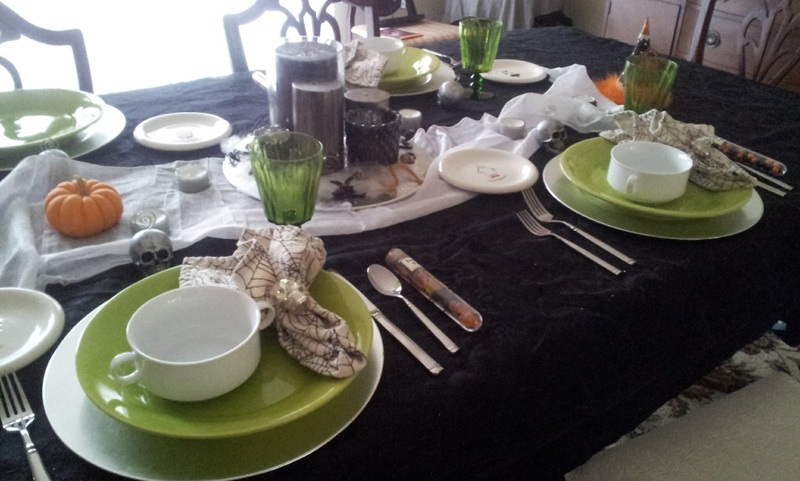 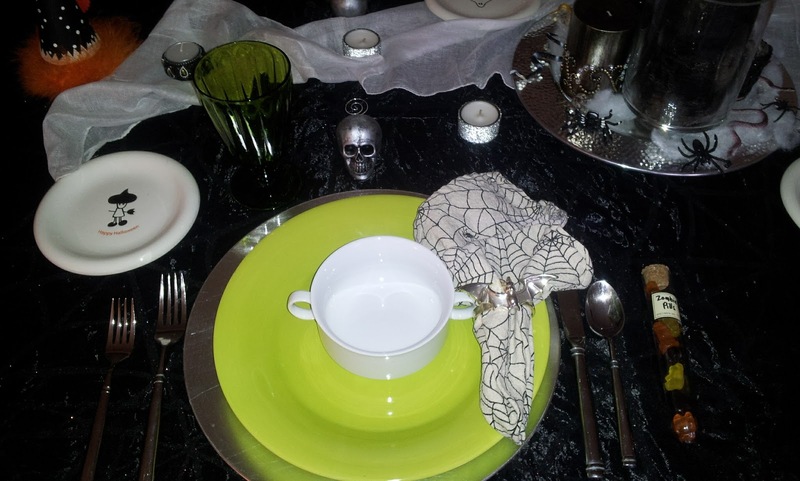 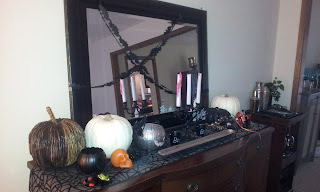 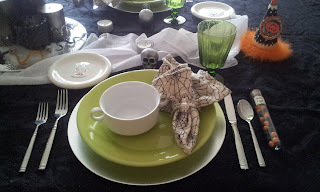 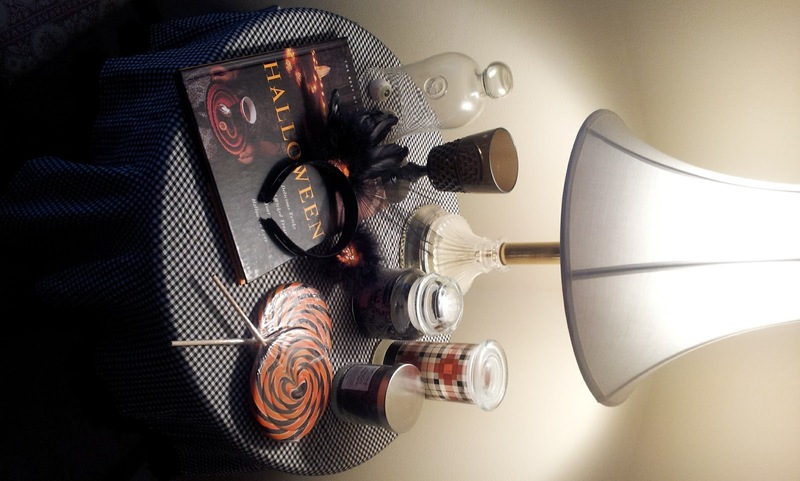 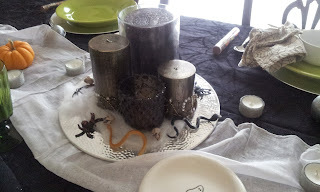 We actually sat at the dining room table and enjoyed our "spooky" decorated table. We had soup bowls on the table for some butternut squash soup. I sorta pulled the centerpiece together quickly. 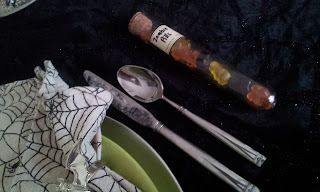 Zombie Pills. . . .
Love the table and decorations!